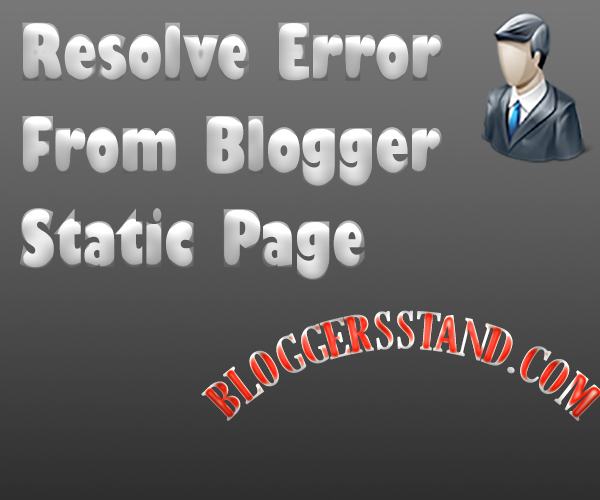 Resolve Author+Name+Date Published+Modified Error From Static Page | BloggersStand ';-1!=b.indexOf("img.youtube.com")&&(a=' ');d=a+''+p+''+titlex+"
Hello Folks,Today in this article we are going to explain How to Fix Author Name,Date Published And Modified Error From Blogger Static Page.We have already talked about fixing various errors from blogger template But all those errors fixed from blogger post pages and from home page..But today we have developed the new trick to fix error from blogger static page,However it took a bit of time..but finally we have got that working and its available for use.And we must fix those error from blogger static page to make our website template error free so that google can read good content and gives higher ranking to your content.Before we proceeding to next step we assume that you have already fixed error from blogger pages.But you can still see Hatom error in blogger static page and becuase of that google still display these errors. For checking the error you have to use google structure testing tool, simply go to the below URL and through click on Fetch URL to check your weblog Errors. So you can clearly see Author,Date Published,Name,Date Modified Missing,Required and Recommended Error In your blogger static pages.So to make template error free follow the steps mentioned below. Step .4 Now Copy The Below Schema Markup Code And Paste It Just After Above Step .3 That means After the above code. Step .5 Now Save Your Template..Done ! Now again go on google structure data testing tool and check these error are fixed from blogger static pages. We hope this article helped you to learn How To Resolve Author+Name+Date Published+Modified Error From Blogger Static Page.If you liked this article please Join us on Facebook,Twitter,Google Plus. trick to fixed datepublished,author,name missing and required error and datemodified missing and recommended error from blogger static page. So Far 2 Comments on "Resolve Author+Name+Date Published+Modified Error From Static Page" - Post Yours! What problem still you are facing?